William joined Savigny Partners in 2006. William comes from an investment banking background, having spent nine years in UBS Warburg’s corporate finance department. In 1999 he set up UBS Warburg’s global luxury goods team and led it until his departure at the end of 2002. In addition to leading the luxury goods investment banking team, William was a Director in UBS Warburg’s global retail sector team and was involved in a number of mandates spanning the retail sector, namely advising Sainsbury’s on its strategic options including the sale of Homebase in 2000 and the sale of GB Supermarkets (Belgium’s #2 food retailer) to Carrefour in 2000. 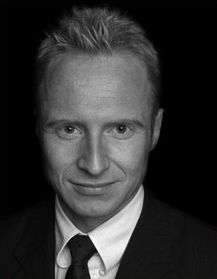 After leaving UBS Warburg, William set up his own consultancy in 2004, focusing on emerging luxury and specialty retail brands, and worked on strategic advice and capital raising mandates for a number of brands, including fashion houses Fake London and Hardy Amies, and wellbeing brand and spa operator Calmia. William holds a First Class Honours degree in Business Studies and Law from the University of Edinburgh.